While going about the demands of our busy life, everyone can enjoy the benefits of automatic glare and UV protection on the go with the advanced adaptive technology of Transitions®. 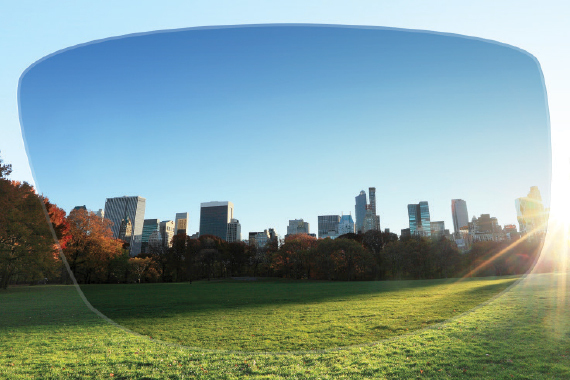 Nikon lenses with Transitions® combine the best of both optical worlds to provide the ultimate vision correction solution. 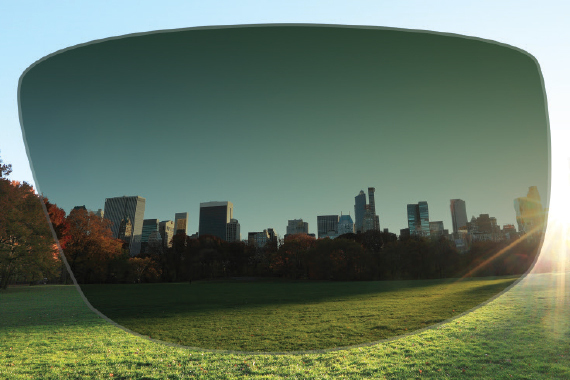 Transitions® lenses automatically adjust from clear to dark and every shade in between. Fully clear indoors – but outside, they’re more responsive than ever thanks to our exclusive Chromea7™ technology. They are more reactive to UV light so they get darker in more conditions, including bright sun, partially sunny, cloudy, and everything in between. They also adapt to indirect light – such as light reflected from buildings, cars, and many other surfaces. A true molecular breakthrough, this exclusive 8-dye formulation keeps more molecules activated to absorb more light allowing for a better, more responsive lens in all real life conditions. Transitions® Signature™ lenses darken and lighten to just the right degree so the optimal amount of light reaches your eyes. Those who want an adaptive lens that goes completely clear indoors. People who go outdoors at all different times of day. Those who go outdoors frequently but spend most of their time indoors. All day Transitions® adapt to help in protecting your eyes from fatigue and strain caused by UV light and bright glare outdoors. A breakthrough color science technology provides an enhanced color and contrast experience. It also reduces glare, thereby enhancing contrast and reducing eye fatigue and eye-strain that is common when trying to overcompensate for poor perception of color. Life360™ is Transitions Optical’s new proprietary methodology for designing, developing and amazing photochromic performance to find a truer, more optimal understanding of product performance and benefits. This revolutionary model utilizes three techniques: lab testing, wearer testing and real world measurement. When developing the technology for Transitions® Signature VII, it utilized the new Life360™ process for testing photochromics using real conditions, real location, and real situations for live wearers. Traditional lab testing provides baseline measurement and temperature variation testing. Live wearer testing was conducted as part of the process for providing key insights into consumer satisfaction and preference after wearing the lenses. Real world measurements took into account numerous wearer positions, geographic locations (such as location in the US, Europe and Asia), weather conditions and temperatures in over 200 real world conditions and over 1,000 wearer scenarios. Available for almost any frame or prescription. Available to suits all ages including children. Change with every variation of light and block 100% of UV rays.